Having written the book (literally) on the U.K. wizarding world, Harry Potter author J.K. Rowling is now looking to conquer North America as well. According to the official Harry Potter companion website Pottermore, Rowling is set to release a new series of short stories called Magic In North America, which detail the hitherto unknown world of North American witchcraft and wizardry. It’s all in anticipation of the upcoming film Fantastic Beasts And Where To Find Them, which was penned by Rowling and stars Eddie Redmayne as a magical zoologist in 1920s New York. The first collection of Magic In North America stories will hit Pottermore in four installments this week. According to the rather melodramatic trailer released by Entertainment Weekly, they are set to explore North America’s wizarding school Ilvermorny, Native American magical history (specifically something called “skin walkers”), the Salem witch trails, and the Magical Congress Of The United States, the stateside equivalent of the Ministry Of Magic. Known collectively as “History Of Magic In North America,” these four stories make up just one installment of the larger Magic In North America series. This isn’t the first wizarding world bomb Rowling has dropped: With fans still reeling from news that the American term for a non-magical person is the clunky “No-Maj,” Rowling revealed that the wizarding education system is far bigger than the one glimpsed in her Harry Potter series. In January, Pottermore released a map of the 11 wizarding schools that exist around the world, providing details about the African, Japanese, Brazilian, French, and Northern European schools. Until now, however, Ilvermorny has mostly remained a mystery. The first “History Of Magic” story will debut Tuesday, March 8 at 9 a.m. EST with a new story released each morning through Friday, March 11. 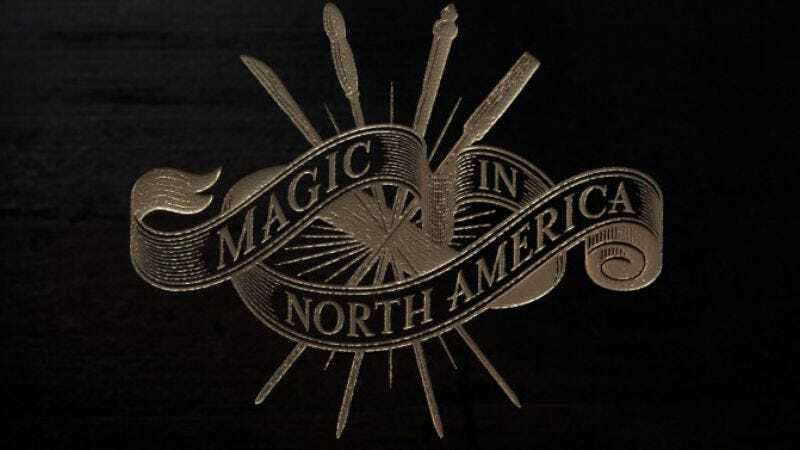 There’s no word on how many more installments of Magic In North America will be released in the future, but expect a lot more writing from Rowling leading up to Fantastic Beasts’ November release.